Situation awareness is a concept especially important in the area of criminal data analysis and refers to the level of consciousness that an individual or team has about a situation, in this case a criminal event. Being unaware of crime situations can cause decision-makers to fail, affecting resource allocation for crime mitigation and jeopardizing human safety and their patrimony. Data and information fusion present opportunities to enrich the knowledge about crime situations by integrating heterogeneous and synergistic data from different sources. However, the problem is complicated by poor quality of information, especially when humans are the main sources of data. Motivated by the challenges in analyzing complex crime data and by the limitations of the state of the art on critical situation assessment approaches, this chapter presents Quantify, a new information fusion model. 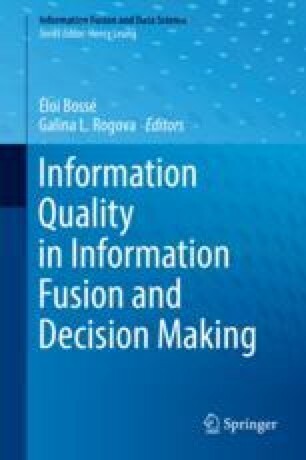 Its main contribution is the use of the information quality management throughout syntactic and semantic fusion routines to parameterize and to guide the work of humans and systems. To validate the new features of the model, a case study with real crime data was conducted. Crime reports were submitted to the modules of the model and had situations depicted and represented by an Emergency Situation Assessment System. Results highlighted the limitations of using only lexical and syntactical variations to support data and information fusion and the demand and benefits provided by quality and semantic means to assess crime situations.